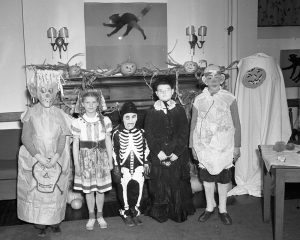 1941: State Street Church Junior Guild Halloween costume winners. 29024	PH 1 Nov 1941 : State Street Church Junior Guild Halloween winners. Children in costumes.